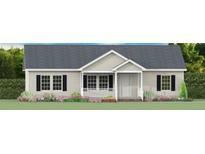 Find Catawba, NC New Homes for sale. View Photos, Maps and MLS Data Now! New homes are starting to build only a few lots left in subdivision. MLS#3465087. N C Land and Lots. Russell Ridge - On schedule for completion in 30 days. MLS#3487067. D R Inc. In the quiet town of Catawba, you are close to Rock Hill, Lancaster and Indian Land for all your needs. MLS#3467459. Rinehart Realty Corporation. In the quiet town of Catawba, you are close to Rock Hill, Lancaster and Indian Land for all your needs. MLS#3467552. Rinehart Realty Corporation. Construction can start immediately.Megan Brown 704-264-4179 MLS#3467180. Hecht Realty, Inc. Since this is pre-construction, some colors and plans may be tailored to better suit your preferences. NC Agent Owned. MLS#3376696. N C Land and Lots. Lake Norman Woods - WOW New Construction Proposed, 1/2 acre lot across from LKN w/boatslip 3149 sqft., Southern Covered Front porch;Stainless Steel Kitchen Appliances; Granite Countertops,wood floors in Kitchen, Great office/formal dining space; Tile Floors in Master Bath, Laundry and Half Bath;Vaulted Living Room Ceiling; 2 CAR Garage; Cultured Marble Countertops Master Bath/ Half Bath;Single Hung Vinyl Low-E Windows;Brick Foundation and Partial Brick Veneer Front;Upgrade Options Available, customize w/builder. 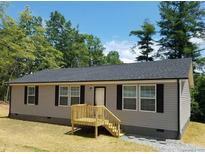 MLS#3223083. Wilkinson ERA Real Estate. These statistics are updated daily from the Carolina Multiple Listing Services, Inc. For further analysis or to obtain statistics not shown below please call Highgarden Real Estate at (704) 737-4728 and speak with one of our real estate consultants.